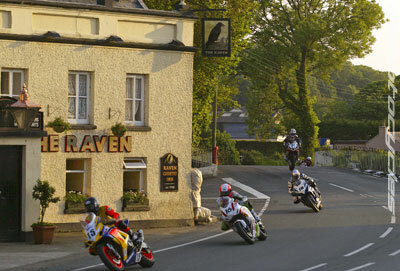 Rider: Carl Rennie, Michael Rutter, Dan Kneen, William Dunlop. Comments: Could not have wished for a more perfect moment than this, low evening sun and all bikes equally placed. Comments: Ian Hutchinson was there to pick up a somewhat unexpected Superbike TT win after early pace setter Conor Cummins had broke down on the fifth lap. 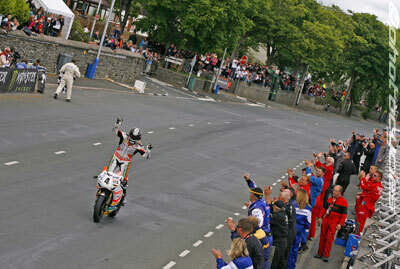 Comments: A slice of TT history as Ian Hutchinson crosses the line to win a record 5 TT's in one week. 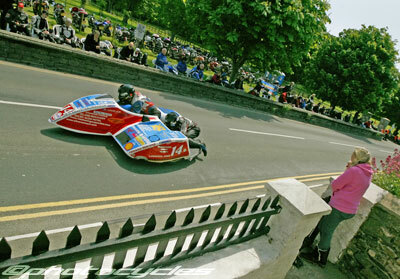 Comments: Some TT fans travel from the 4 corners of the globe, others from as far as the front garden gate. Comments: As demonstrated above, Conor was right on it taking the opening Superbike race by the scruff of the neck, leading by over 20 seconds at the end of lap 4. But for the breakdown at Laurel Bank I've no doubt the mercurial Manxman would have taken the win. Comments: HM Plant Superbike stand-in Keith Amor looked set for a good second place finish till mechanical gremlins struck at Glen Helen. Comments: Klaffi was a very popular double TT winner. Last minute passenger Dan Sayle deserves high praise for the way he helped the former Austrian World Champion. 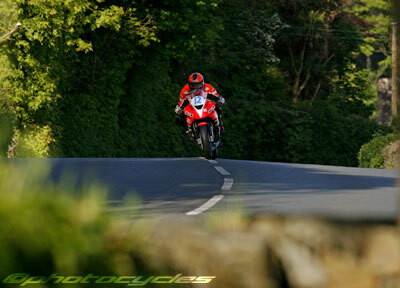 Before the end of April, what betting odds could you have got on one rider winning five TT's in one week? 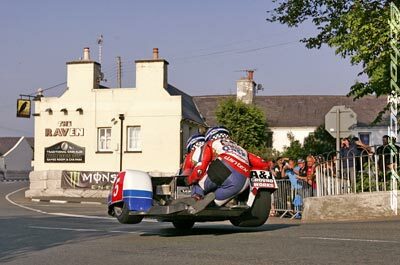 The previous best of four stood in the name of Phillip McCallen, and having never won a big bike TT or a member of the exclusive 130mph club, the name Ian Hutchinson might have been further down the betting order than S Plater, C Donald or J McGuinness. 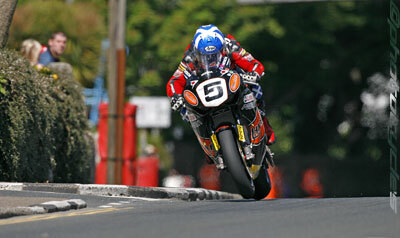 Steve Plater had ruled himself out after a North West 200 practice crash, Cameron Donald just never found the same rhythm he enjoyed during TT2008, and John McGuinness suffered two cruel breakdowns early on in both the Superbike and Senior TT's. "Hutchy" however just never put a wheel wrong for the whole fortnight, and came out on top in some of the closest racing ever witnessed around the TT Mountain Course. 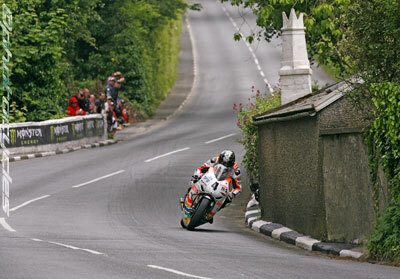 In three of the week's most hotly contested races the Superstock and two Supersport TT's, Michael Dunlop, Guy Martin and Ryan Farquhar each led Hutchinson at some point going into the final lap but all found themselves on the second step of the podium such was the Yorkshire stars speed over the Mountain. As Ian himself commented it's how he likes them!